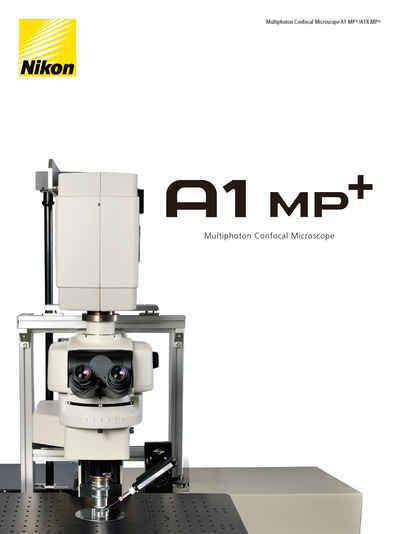 A1 MP+ / A1R MP+ Multiphoton | Multiphoton Microscopes | Products | Nikon Instruments Inc.
Amazingly deep — A1R MP+ multiphoton detects ultra-deep dynamics within living organisms. 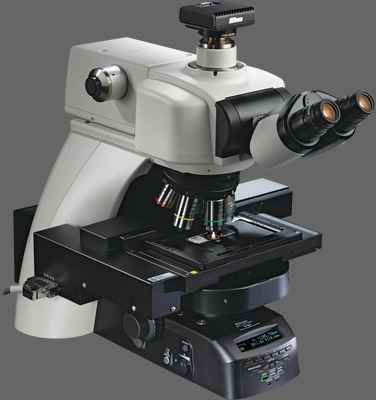 The A1R MP+ multiphoton confocal microscopes provide faster and sharper imaging from deeper within living organisms, extending the boundaries of traditional research techniques in biological sciences. 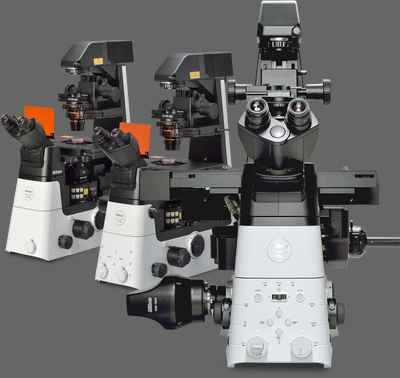 They are compatible with both upright and inverted microscopes, and provide optimum multiphoton imaging configurations for brain research, other neuroscience applications and in vivo imaging of living specimens. The GaAsP NDD is equipped with GaAsP PMT that has a higher signal-to-noise ratio and superior sensitivity than a Multi-Alkali PMT, and allows clear imaging of deeper areas of living specimens. 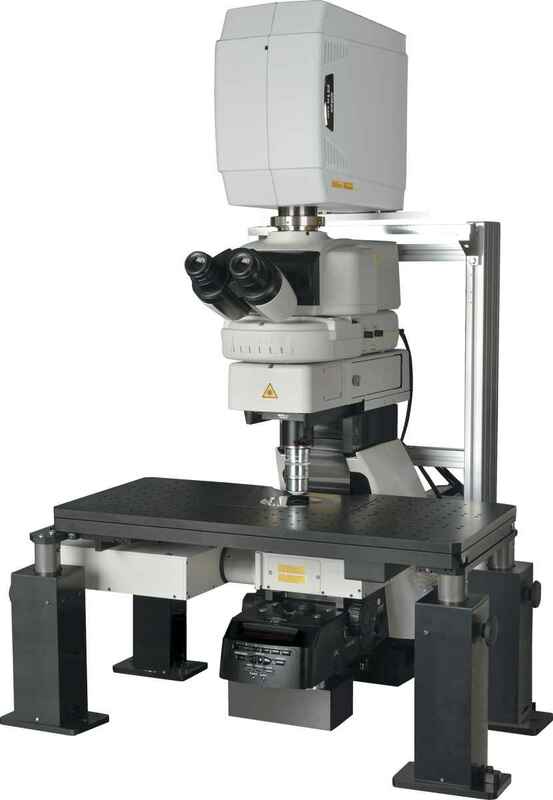 Its ability to acquire images of high S/N ratio, enables faster imaging and higher quality Z-stack imaging. Its high sensitivity allows the acquisition of fluorescent signals with less laser power, resulting in less photo damage to living specimens. The Nikon A1R MP+ can be configured with a wavelength of 1080 nm, as well as a wavelength of 1300 nm that enables deep imaging up to 1.4 mm. The NDDs are located as close as possible to the specimen in order to detect the maximum amount of scattered emission signals from deep within living specimens. A combination of episcopic and diascopic GaAsP NDDs for the Ni-E/FN1 upright microscope allows acquisition of bright and high S/N ratio images, by detecting both reflected and transmitted fluorescence signals. In vivo imaging of an anesthetized YFP-H mouse (4-week-old) via open skull method. Visualization of the entire layer V pyramidal neurons and the deeper hippocampal neurons. Deep imaging achieved for 3-dimensional imaging of hippocampal dendrites up to 1.4 mm into the brain. The A1R HD MP+ are available for systems compatible with two-wavelength IR laser simultaneous excitation. Combining the system with a femtosecond IR pulse laser with two-wavelength simultaneous output (main tunable output of 700 – 1300 nm and auxiliary fixed output of 1040 nm), enables the simultaneous excitation and imaging of two different dyes in the deep area within living cells. Three dimensional images of 1 dpf zebrafish transgenic line, Tg[h2afv:GFP; EF1α: mCherry-zGem]. After breeding under the treatment of Phenylthiourea (PTU), which inhibits melanin synthesis, whole body was clarified with optical clearing solution LUCID-A. This transgenic line visualizes proliferating cells and chromatin with mCherry (red) and GFP (green), respectively. Lateral view of trunk of zebrafish transgenic line Tg[h2afv:GFP; EF1α: mCherry-CAAX] at 34 hpf. After breeding under the treatment of Phenylthiourea (PTU), which inhibits melanin synthesis, whole body was clarified with optical clearing solution LUCID-A. This transgenic line visualizes cell membrane and chromatin with mCherry (purple) and GFP (green), respectively. SHG (blue) indicates muscle fibers. The A1R MP+ is a hybrid scanning head that incorporates both a high resolution galvano (non-resonant) scanner and an ultrahigh-speed resonant scanner. 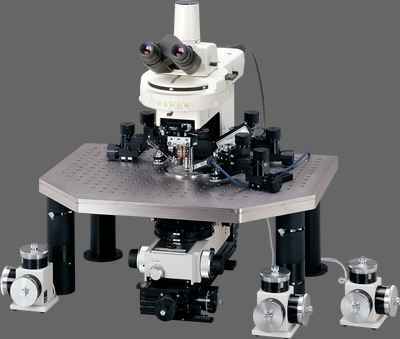 Its hybrid scanning head allows imaging and photoactivation at the ultrafast speeds necessary for revealing cell dynamics and interaction. The A1 MP+ is equipped with a galvano scanner for high-resolution imaging. Both the A1R MP+ and A1 MP+ are configurable in two wavelengths of 1080 nm and 1300 nm. The A1R HD MP+'s resonant scanner has an ultrahigh resonance frequency of 7.8 kHz, allowing ultrafast imaging of up to 720 fps (512 x 32 pixels). Nikon's optical pixel clock generation system ensures stable, geometrically correct and evenly illuminated imaging, even at high speeds. 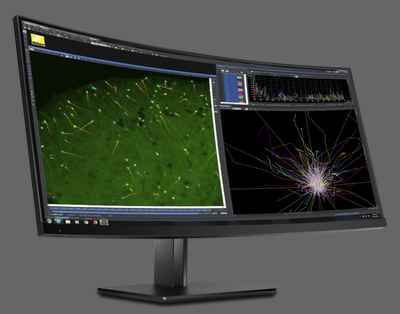 This enables the successful visualization of in vivo rapid changes, such as reactions in living organisms, dynamics and cell interactions. Blood cells in blood vessels within a living organism were excited by a femtosecond pulsed IR laser with the A1R MP+'s ultrahigh-speed resonant scanner, and their movements were simultaneously captured in three successive fluorescence images at 30 fps (30 msec), with three separate color channels. Three fluorescent probes are simultaneously excited and imaged–nucleus (blue), endothelium (green), and plasma (red). The long-wavelength ultrafast laser in combination with the ultrahigh-speed resonant scanner effectively reduces photodamage and makes time resolved multiphoton imaging of biomolecules possible. Comparison of a large FOV image and detailed image of fine structures in a cleared* 2 mm brain slice of H-line mouse. In vivo, large FOV, two-photon/SHG imaging of Ca2+ oscillations and collagen fibers of living pancreatic acini in an anesthetized mouse after agonist stimulation. Cyan: SHG signals, Green: GCaMP7. When the multiphoton laser wavelength or group velocity dispersion pre-compensation is changed, the multiphoton laser beam positional pointing at the objective back aperture may also change, resulting in uneven intensity across the image, or a slight misalignment between the IR and visible laser light paths. Verifying the IR laser beam pointing and setting the alignment has traditionally been difficult. 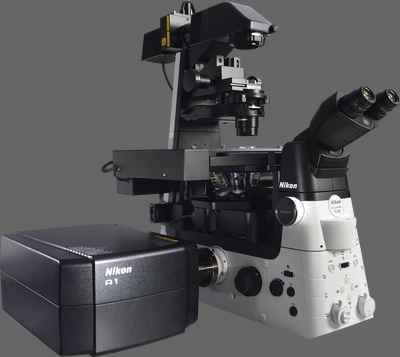 Nikon's A1 MP+/A1R MP+ series' auto laser alignment function, housed in the Incident Optical Unit for the multiphoton excitation light path, automatically maximizes IR laser alignments with a single click in NIS-Elements C.
Nikon’s unified software platform, NIS-Elements provides intuitive workflow for multiphoton imaging. Combined with the graphical programming tools such as JOBS and illumination sequence, the comprehensive operational environment can be fully customized for any level of application needs.